You need the perfect accessory! The pool float! With basically anything susceptible to being uploaded to Instagram and other social media platforms, you want to have the best pool floats that are not only going to compliment your beach body but more importantly, are going to keep you comfortable and, well…afloat. Stay with us, because we have all of the best pool floats down below! Here’s an overview of the best pool loungers on the market! Now that you’ve had the chance to look at each of the best pool floats, you’re probably more curious about the specifics. Scroll down to find detailed descriptions of each of the ones that caught your attention! First up on our list, we have one of the best pool loungers for adults: the Kelyus Chaise Lounger from SwimWays. It not only did well with us but is a crowd favorite among the vast majority of people on Amazon. It is versatile, comfortable, has a great design, and has more features than most would even think to look off in a lounger! First of all, it has a convenient tether clip to let you keep it connected to the dock, boat or even other floats from the company. This makes it great for using out on a lake or spending a day floating the river with friends! You probably know if you’ve floated a river before, that it’s pretty difficult keeping everyone together, but Kelsyus has created a simple, thoughtful solution to that. One of the fundamentals to any day in the sun is a pool, and the other is ice-cold drinks! As you know, in the pool, just about no one is safe. You may not encounter Jaws, but you’ll probably have a friend or family member who wants to pretend to tip over your lounger and be rowdy. It’s a whole lot harder to keep your balance with a drink in your hand! That’s why we loved the built-in drink holders so that you always have your hands free, and a drink within arm’s reach anytime you need a sip. It is made of the same mesh as the seat is to absorb any condensation. Since adults vary in weight much more than children do, it can be difficult to find one that will accommodate everyone. So, just much weight does the Kelsyus support? 250 pounds; which, definitely isn’t as much as some others, but is also more than many other options, too. As this lounger features a lot of mesh, it obviously won’t be able to hold as many people or as much weight as some pool floats made of just vinyl or PVC. However, it does have durable, fabric-covered material that will easily suspend you just above the surface of the water. The inner spring around the outside edges makes sure that you have more stability, making it difficult to tip over. This makes for a secure, cool place to hang out without getting soaking wet. You can lay back comfortably with the integrated headrest, backrest, and footrest. Between the seat portion and the footrest is a cutout where you can either rest your calves in the water while your feet are on the footrest or decide to put your feet and lower legs completely submerged. The main thing we didn’t like? It isn’t recommended for use around children three years of age or younger, due to choking hazards. Well, yes. But, this is also about unicorns, and who doesn’t like them. We’re pretty sure the answer is, “nobody”, because everyone likes unicorns, even if they don’t want to admit it. 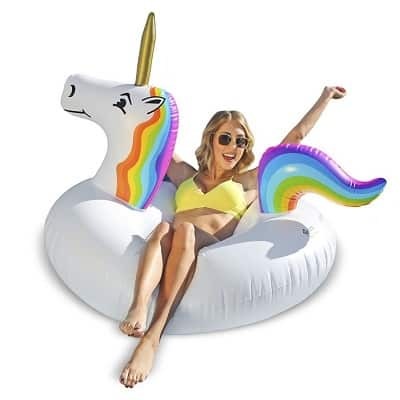 So, when someone sees a unicorn pool float in a pool, there’s no way they can resist hopping on and shooting a few photos for the ‘gram. This large-sized inflatable pool float is made by GoFloats, who we can easily say has become royalty in the pool float business in recent years. They have come out with much more than just mystical animal floats, which we’ll get to later in this article. The GoFloats Unicorn Party inflatable is a pretty generous size, coming in at 45 inches in width, and is 3 feet in height. It’s definitely large enough for most adults to use and feel comfortable on. The float may look trendy, but it’s made with safety and construction in mind. It’s more than just looks! Made of thick, UV-treated, raft-grade vinyl, you can use it in just about any environment: the pool, beach, river, and even land if you choose so! It is durable and will last you many days of splashing around and posing with friends. It also takes just moments to inflate, so you don’t have to wait around to get the party started. Their new rapid valve allows for 10x faster inflation compared to your traditional valves (which clocks in at around 2 minutes compared to 20). Deflation is really fast too, making it easy to pack along and take on any adventure you have in mind. If for any reason you’re unsatisfied with this pool lounger for adults (which we doubt you will be), it comes with a satisfaction-guaranteed warranty, so you aren’t really losing out on anything by trying it! We pretty much enjoyed everything, however, if we’re going to compare it to say, the Kelsyus lounger, it’s less stable, so keep that in mind! Do you lead an active lifestyle that exists outside the water? Do you find yourself needing a lounger that can be used camping just as easily as it can in the pool? 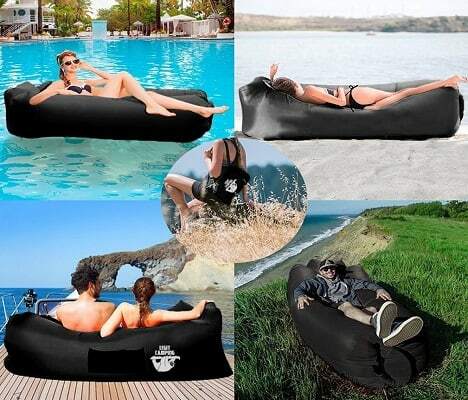 If that’s you, then do yourself a favor and check out the Legit Camping Inflatable Lounger. This high-quality pool float is truly a game-changer, and we predict it to be invading just about every home before summer hits! 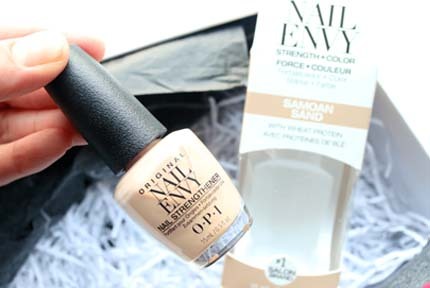 We feel it’s important to have products that suit your personality; that aren’t just boring black or white. Don’t worry about this adult pool lounger, because we know you’re going to find one that fits you! They currently come in: Black, Camouflage, Light Blue, Lime Green, Orange, Purple, Red, and Sea Green. All of them are beautiful, rich colors that make the perfect compliment to any environment. So, what does it actually do? Well, if you’re sick of carrying around bulky floats or chairs, then you’re going to love this. 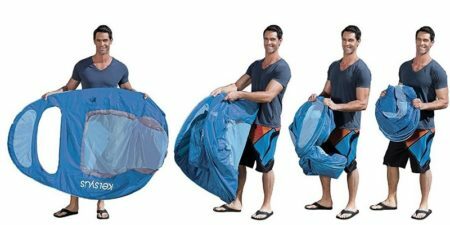 It’s super easy to inflate, and has a double inlet design to let you completely inflate the air hammock in under one minute! You don’t even need a pump to do so; just your own lungs! It’s important that it inflates easily, but more importantly, that it stays inflated. This one is so well-made with high-quality Ripstop Nylon, that it will stay inflated for the entire day. Not only that, but it’s super lightweight, comfy, and can even hold up to 400 pounds, which is practically unheard of. We know that everyone likes their accessories, no matter what they may be. Perhaps it’s a beer, perhaps it’s an iPad or a book. No matter what it is, this pool float for big guys has all the pockets to accommodate them. You have one on the side great for holding magazines or little valuables like a wallet or smartphone. Another has a convenient elastic strap for all kinds of beverages. As an awesome bonus, they even include a beer opener to help make you the crowds favorite! The price is a bit more expensive than most pool floats you’ll see on the market today, however, it has features and a weight capacity that’s rarely seen in floats. It’s well worth it! Planning to enjoy the heat under the sun? Use the best shea moisture shampoo after to keep your hair soft and moisturize, read our guide right here. You may not be drinking water or Gatorade, but the Swimline Solstice Cooler Couch is just what you need to quench your thirst. 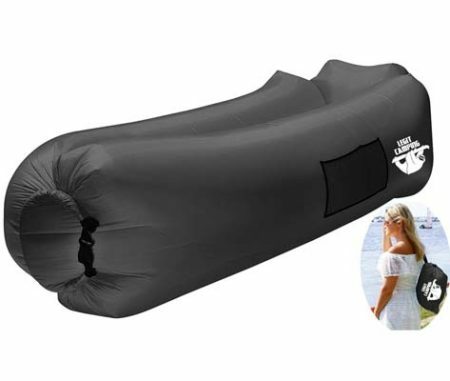 The inflatable pool lounger is made of heavy-duty vinyl construction to make sure that it stays inflated all day. It’s very resistant to little rips and tears, so you can definitely put it through the ringer without worrying about it breaking. No lounger would be complete without some drink holders, right? This one has two; one for you and a friend, or better yet, two for you. What happens if you run out of your two drinks? You could do it the traditional way and get out of the pool, but who really wants to do that? Better yet, this luxury pool float has a built-in cooler, so there’s really no reason to ever leave the water and the sun. 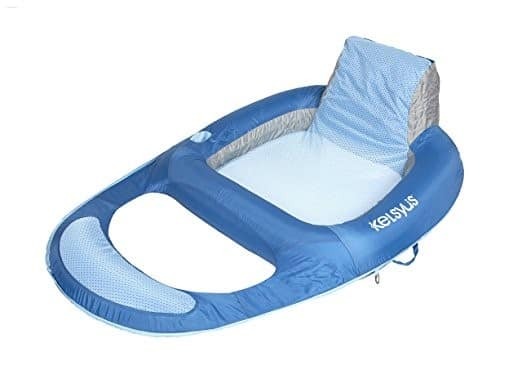 If you’re someone who loves being in the pool but doesn’t necessarily enjoy being wet, then this is the lounger for you. It is one of the few we experience that literally keeps you 100% dry. 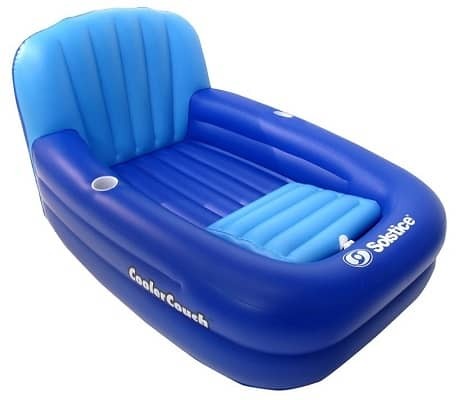 It is super stable, and the edges around the lounger are thick and high enough to keep you protected from the water. The weight limit is around 175 pounds and isn’t quite durable enough to take out to the river or ocean, so also keep this in mind before purchasing. It’s not just adults who should get to take advantage of pool loungers! Kids may not “lounge around” as much as we do, but they definitely aren’t going to pass up the opportunity to take a ride on a whale! 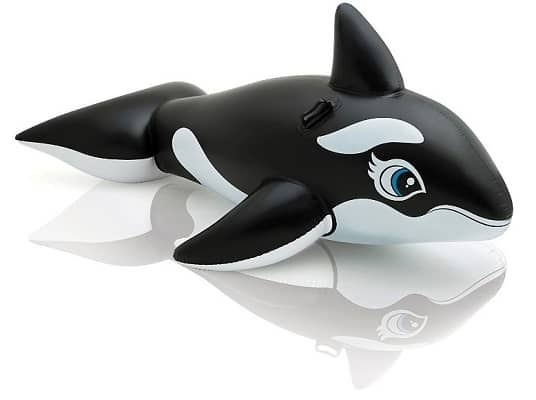 Okay, so it’s obviously not a real whale, but with vivid imaginations, none of that matters. The lounger features a super cute design that will have all the kids in the neighborhood or at the beach wanting to take a turn! It suits kids of all ages, which means that no one gets left out and everyone gets to join in on the fun. Two heavy-duty handles make sure each rider feels secure and has something to hold onto, as the vinyl of the actual float is quite slippery. There are also double air chambers for an added level of safety, just in case a leak happens, no one is at risk of sinking. However, should there be a leak, the float comes with a repair patch to fix it. The only downside is that it isn’t as comfortable as some of the others on our list. If you’re still wondering about which pool lounger to purchase for your summer adventures, we’ve gone ahead and created a user-friendly buying guide to make sure you know exactly which one to purchase, and why! First of all, since most of these are pool loungers for adults, we want to look into the weight capacity of each one. If you’re going to be using it among a variety of family members, make sure it can more than accommodate the heaviest member so everyone has a chance and no one feels left out. The ones on our list go all the way up to 400 pounds, which will definitely cover most users. Also take into consideration how much you’re going to use your new lounger, and how much you’re willing to spend on it. If you’re someone who will be using it year-round or for multiple years, then it’s definitely worth it to spend a little more and select one that’s going to last you for years and extended use. 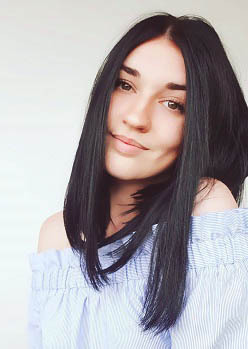 The more inexpensive ones will save you money initially, but you’ll end up having to purchase a new one soon enough, where you may even end up spending more than you would if you’d just gone with the higher price tag in the first place. Unless you’re using the lounge in the pool in your backyard or perhaps living complex, then you’re probably going to have to carry it a good amount. If it’s too heavy or bulky it can be too difficult to transport, which means you’re probably not going to use it, or rarely. Make sure you select a lounger that is lightweight; inflatable loungers are nice because they often pack up into little spaces that can be transported easily with minimal effort on your part. We genuinely enjoyed each and every one of the pool loungers on our list today; perhaps too much! However, there was one that really stood out to us in terms of design, portability, quality, and functionality. That pool float is the Legit Camping Inflatable Lounger. 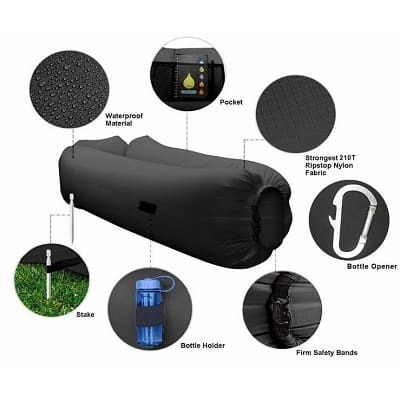 It is probably the most versatile product on the market these days and can be used anywhere on the ground and the water (although waterfalls aren’t recommended). It is super comfortable, easy to transport, yet extremely durable. It also has slots for magazines, drinks, and even comes with an awesome beer opener! Oh, and it comes in bright colors and designs that are sure to stand out and make it difficult to lose. We can’t recommend the Legit Camping Lounger enough, and we know that you won’t be disappointed, either! It may be a bit more expensive than other loungers, but it’ll last much longer and through all kinds of environments. After enjoying yourself in the pool lounger, use the best organic body wash to help yourself to be clean and smell good. So, which one of these best pool loungers will be making its way into your adventures this summer? Let us know in the comments below.